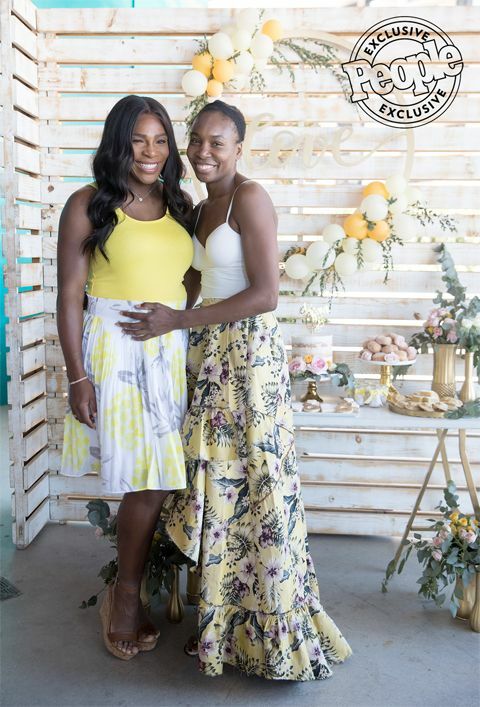 If you thought 35-year-old Serena Williams would be hanging up her tennis racquet after giving birth, guess again. 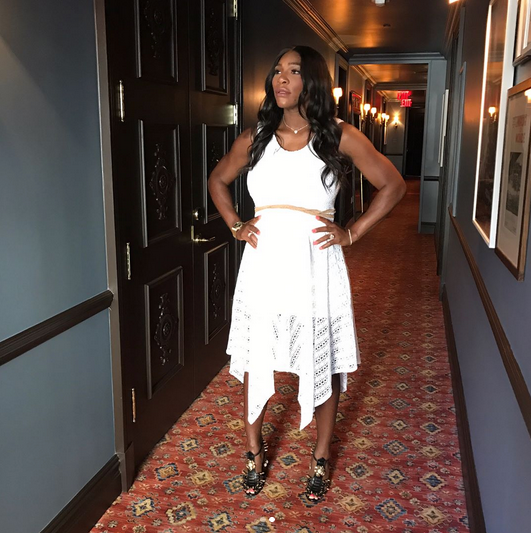 The 23-time Grand Slam winner rolled up at the ESPN Upfront today flossing her growing belly in a white dress and studded Gucci leather sandals. She's coming to break Margaret Court’s record of 24 Grand Slam trophies, we're sure. 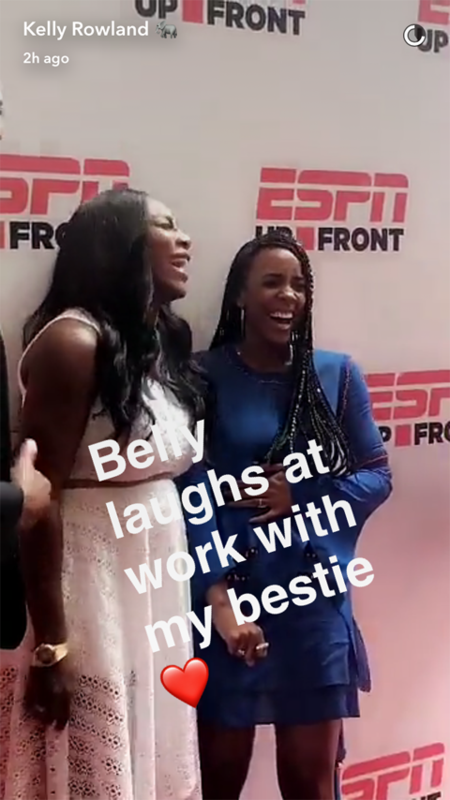 Rena's bestie Kelly Rowland was also in the mix to laugh it up with her friend on the carpet. 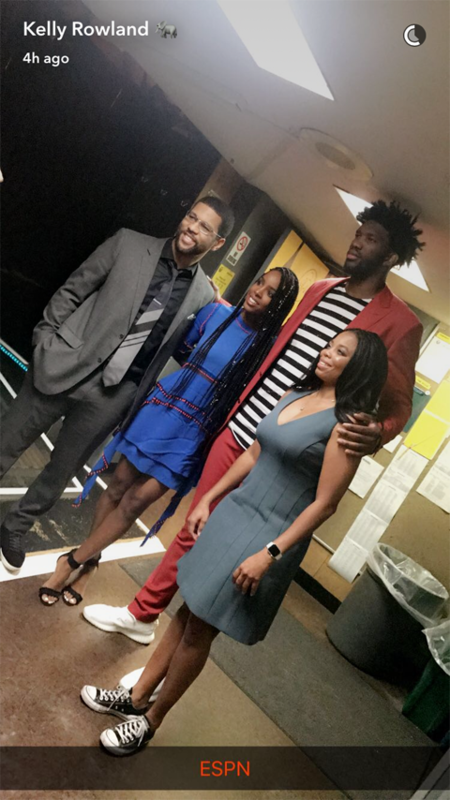 The YBF chicks ran into ESPN analysts/"The Six" co-hosts Jemele Hill and Michael Smith. 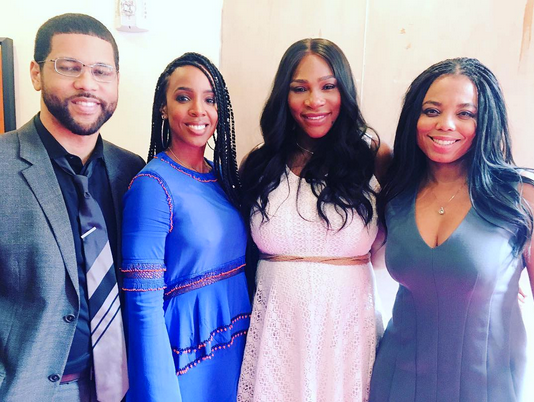 Jemele captured the moment saying, "Definitely great having @kellyrowland as our guest at #espnupfront but ... 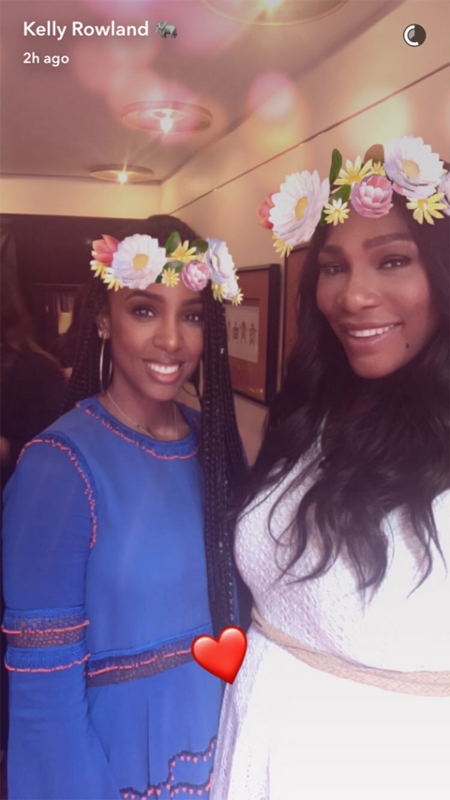 I FINALLY got to meet @serenawilliams. Such a pleasure!" 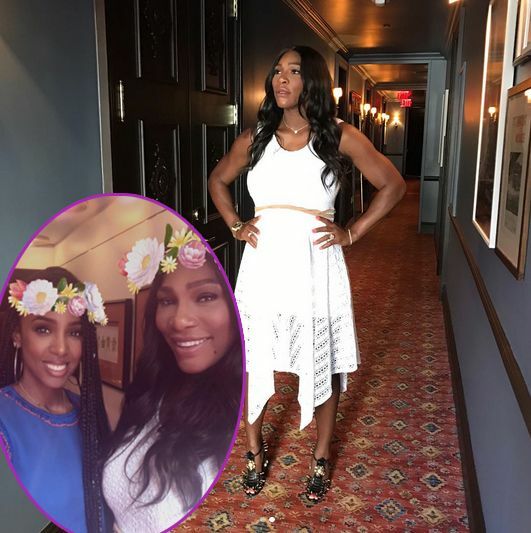 The soon-to-be-first time mom and bride jetted to Miami with her sister Venus Williams and friends for a weekend long bridal shower. The ladies kicked off the bridal shower festivities Saturday morning with some yoga on a rooftop, followed by foot massages in air-conditioned cabanas. 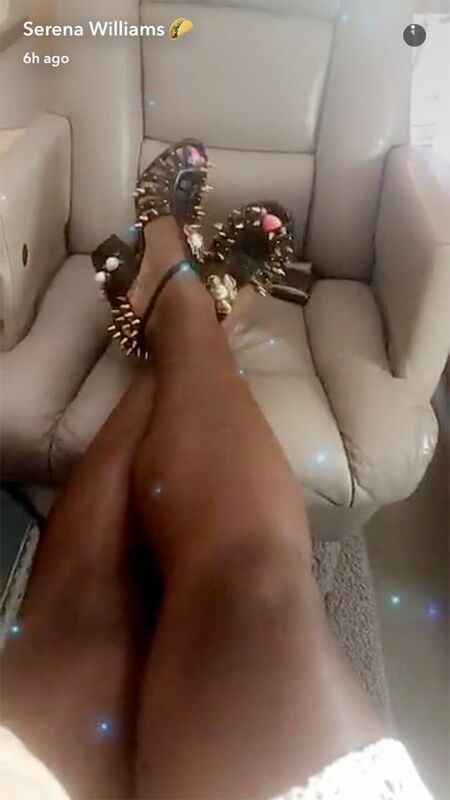 Then, Serena and her guests hopped on a private yacht to cruise the waters. 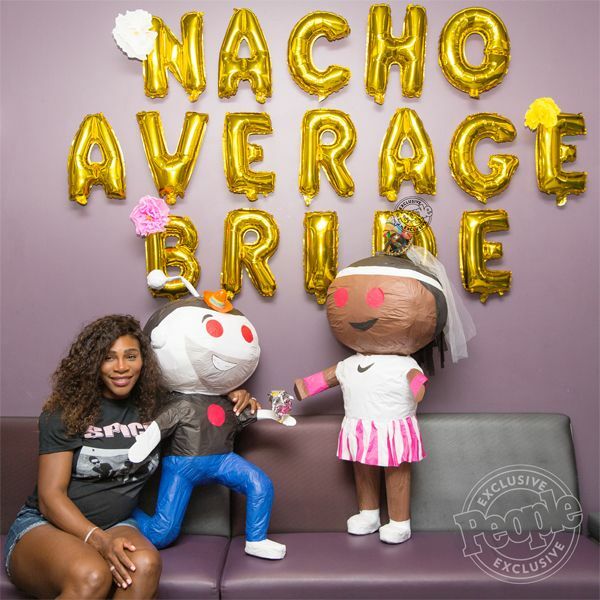 Later, they returned to their luxurious suite where she was surprised with pinatas shaped like the cartoon versions of herself and her future husband Alexis Ohanian. How cute! We're super happy for the YBF chick!